Pre-Lock Security Services offers alarm response services for most alarms we monitor anywhere in Ontario for new and existing customers. 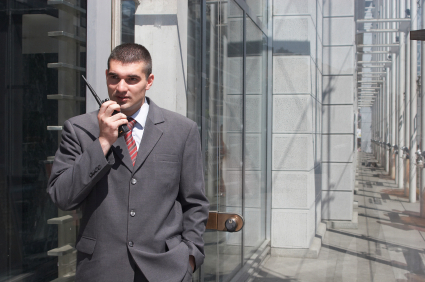 Trained security licenced officer will respond to any emergency that we are contracted to provide for our customers. Pre-Lock Security has carefully selected our professional Security Guard Response company that have a large presence across Canada which all our customers to receive a higher level of service and security at a reduced cost. As some Police Forces require the purchase of yearly licence fee's and charge heavy fines and penalties when they respond to a false alarm, our private guard response is a true solution that will provide your home or business with good security 24 / 7. When an alarm signal is received in our central station we quickly follow the call procuedere contracted for with our clinents and send a private guard response to investigate the alarm that was triggered at the customer's premises. The officers will quickly arrive at the premise and review the exterior of the building checking doors, windows, and making observations of any people vechiles on premise for follow up in the event of an incident. Our alarm reponse team is in constant communciations with our central statiion and can if necessar alert the police or fire department if the matter needs to be excellerated to a higher tear response. All our sercurity response professionals are also basic fist aid until an abulance or medical assitance arrives or can assist with transport if required and directed by emergency personal. Pre-Lock Security has various alarm response packages available that are custom tailered to our clients security requirements We would be pleased to upgrade your plan with this service. Our current alarm Private Guard Response Plan entitles our customers up to 4 guard reponse dispatches within a 365-day period at aour low monthly fee. Additonal responses will be invoiced at our prevailing rates.